Why is it I love dressing in unflattering waders to spend hours on end waving a rod around in the hope of catching a fish? The answer is simple: fly fishing helps me make sense of the world. Nearly three decades ago as a kid, I learned the best way to escape my turbulent home life was to grab my rod and head into the English countryside to chase wild trout for hours on end. Fly fishing took me away from my troubles and to a place where I felt totally at peace. Today, I still get that same childish sense of adventure and excitement when I head out and immerse myself in the wilderness waist deep in water. 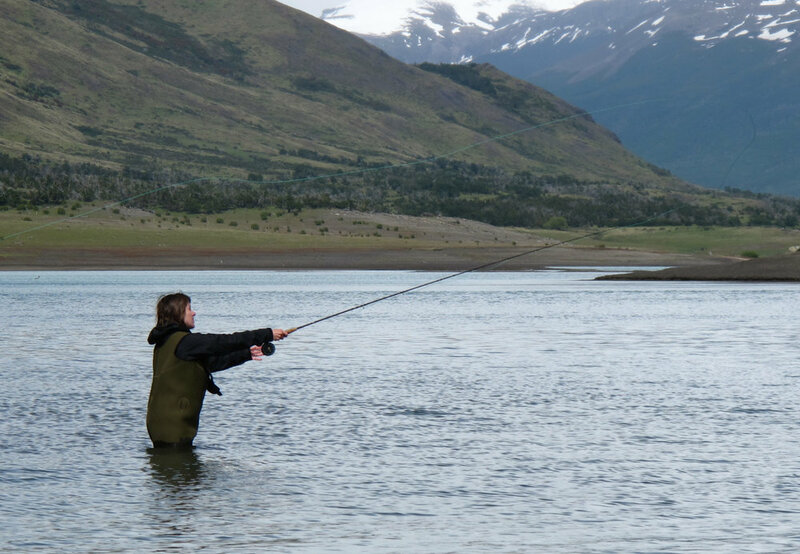 Whether it’s in the UK, Argentina or Australia, fly-fishing takes me into inspiring environments and switches on the part of my mind where the beautiful stuff lives. Alone and free from digital distraction, fly fishing has taught me focus, patience, and to never lose hope because you just never know when luck might bite. And this is a gift that I’d love to share with anyone who’s keen to learn. Whether you’re a complete beginner or an old hat, if you’d like to let go of stress, learn some new skills, and have fun in nature's playground then why not join me for a fly fishing adventure. "I've always wanted to try fly fishing and never knew where to start. Charley was a great teacher, I was chuffed to have the hang of the basics after a day. Can't wait to get on the water again next season. And she also packs a mean picnic." "I've been spin fishing for a while & was keen to throw a few fly lines in. Thanks Charley for the lesson, the day went so fast, even though there's so much to remember. You're very calm and patient! Hope to be back for more." Your fly fishing adventure is waiting.